I get a lot of questions about what a normal day looks like for me. Do I always eat super healthy? 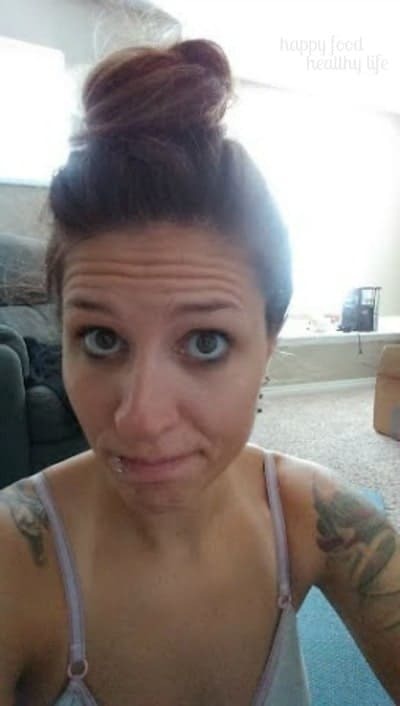 Do I work out every day? What’s the scoop? 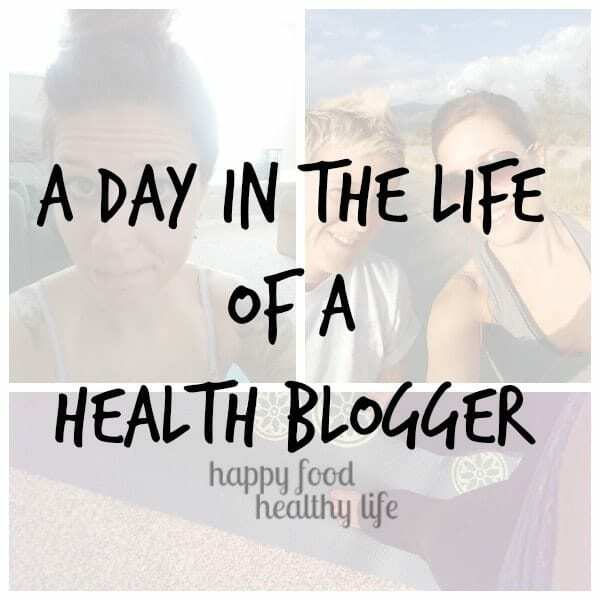 So I thought I would spend some time just going through a day in the life of a health blogger. 4:00 am: This is when my alarm goes off. Bright and early. It’s across the room so I have to get out of bed to turn it off. This day in particular, I did snooze and got right back into bed. But I only did it once and was sure to get up and at ’em after the second alarm went off at 4:10. 5:30 – 6:00 am: yoga. Even just a short yoga session in the morning is enough to get myself in the right frame of mind. My body loves the stretching and awakening. My mind loves the peace and calm. Yoga is a huge part of my wellness plan to feel as healthy as I can. 6:00 am: time to make a smoothie for the morning. I try to always throw a handful of spinach in as well as my favorite Silk Protein Power soy milk for added plant protein. I finish scheduling the rest of my pins for the day while sipping on this deliciousness. 10:30 am: mid-morning snack of Greek yogurt, sliced strawberries, and granola. 5:00 pm: time to get the heck outta work and make the drive home. 5:30 pm: Most days I would get myself to the gym, but I decided today that it was too nice of a day to workout indoors. 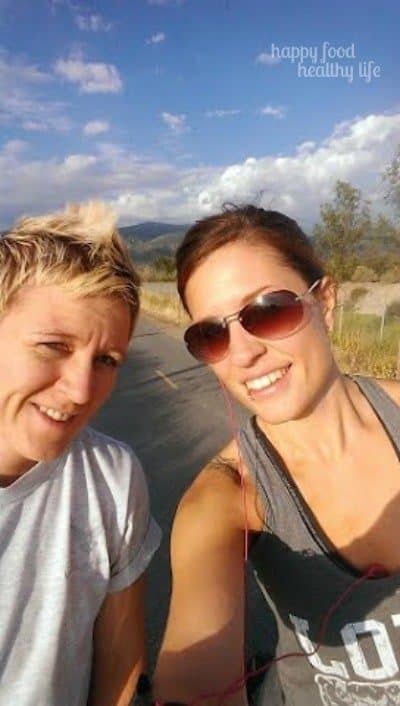 Got the bikes out, grabbed the wife, and we put in about 10 miles on the trail that runs behind our neighborhood. 7:00 pm: This is when dinner SHOULD be happening, and most nights this is when it WOULD be happening. But for one, we didn’t have my son this week, so nothing elaborate really needed to be made of dinner. Two, I wasn’t super hungry. 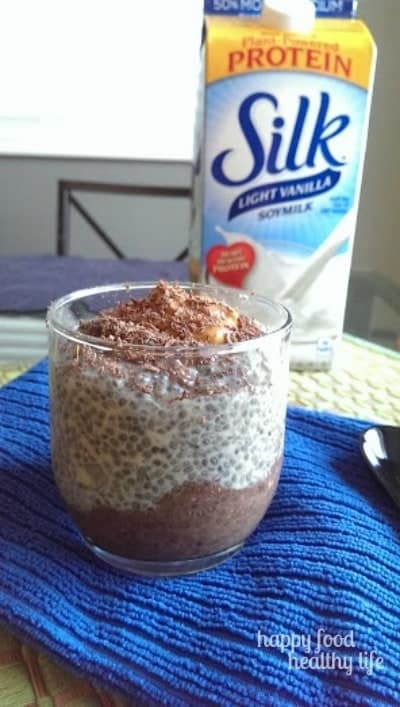 Three (and the REAL reason), I really wanted to try this amazing Chocolate Peanut Butter Cup Chia Seed Pudding I made the other day. I used soy milk instead of milk. Definitely a welcome substitution for me. (watch for the recipe later next week). I also decided to have a handful of grapes. 8:00 pm: After my dinner-snack and a little bit of relaxing time, I had to do a couple hours of blog work before crashing for the day. 10:30: Climbed into bed. Read about 2 sentences of Insurgent before my eyelids felt heavy and my head started bobbing. I was quickly out for the night! So there’s that. Nothing extreme. Nothing crazy. Nothing super exciting. But this is what works for me and my health goals.